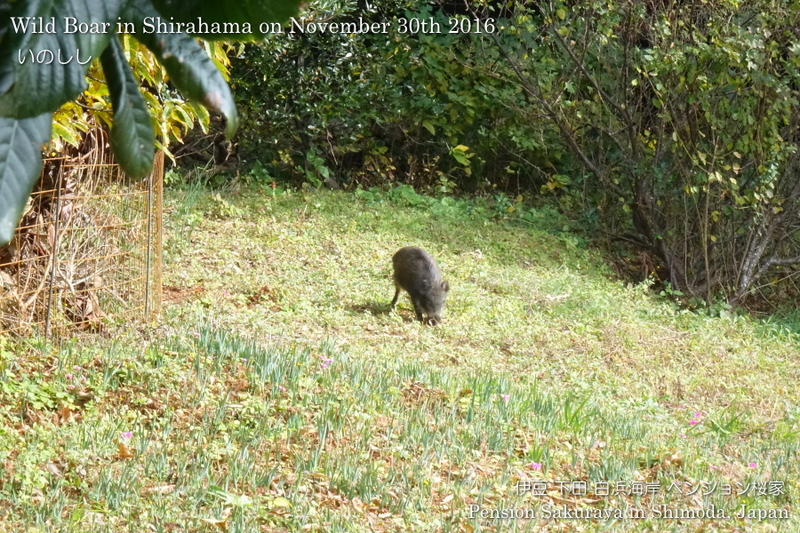 Today the marathon race of Shirahama primary school was held, and after that, I found out a young wild boar on the way to the school. 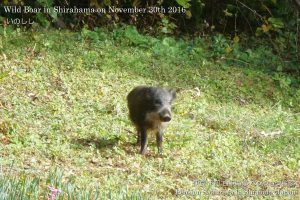 Wild boar is basically nocturnal, so we don’t see them under the sun. 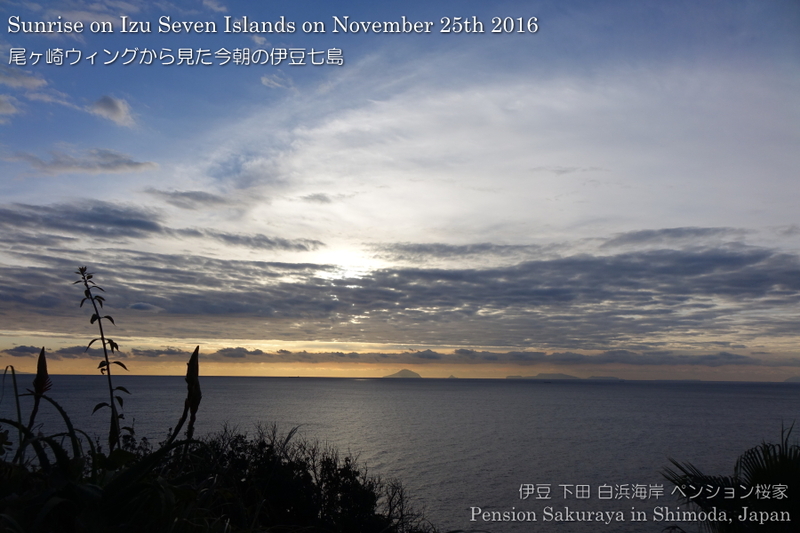 This entry was posted in nature, 未分類 on 2016年11月30日 by izusakuraya. 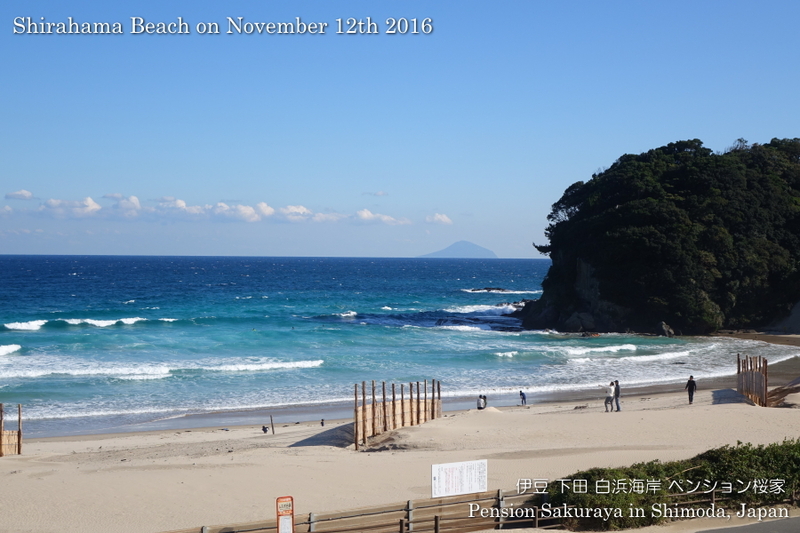 It was warmer than yesterday, but we had very strong north wind today. 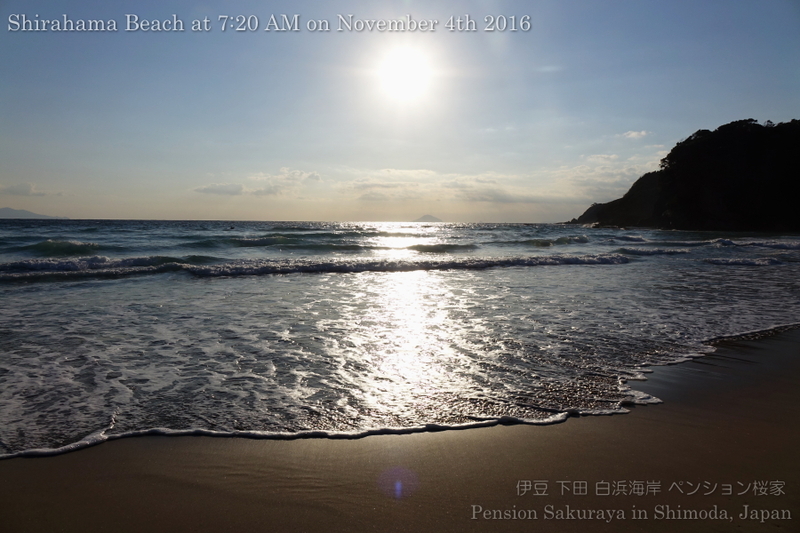 This entry was posted in beach on 2016年11月26日 by izusakuraya. 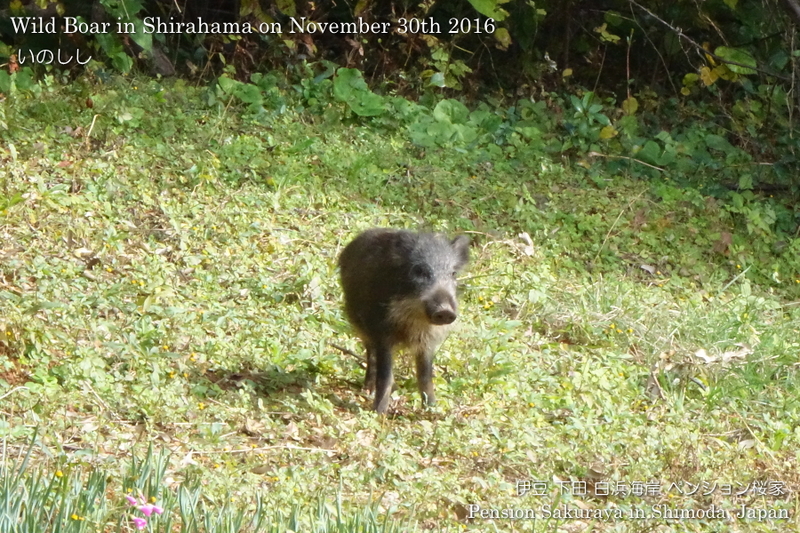 They had a lot of snow in Tokyo yesterday, but we don’t have any snow here in Shirahama even in winter. 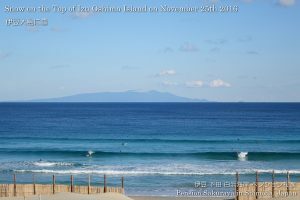 However, they have a lot of snow in Amagi mountains on Izu peninsula and on the top of Izu Oshima island in every winter. Yesterday they had a lot! 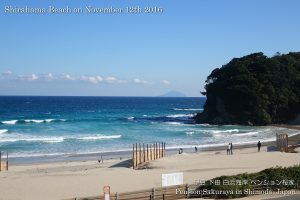 This entry was posted in beach, nature on 2016年11月25日 by izusakuraya. 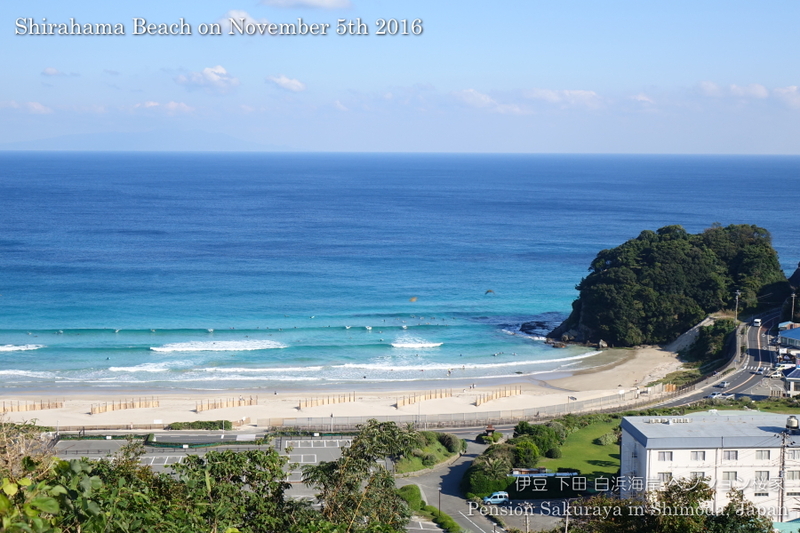 It was a little colder than yesterday here in Shimoda today. 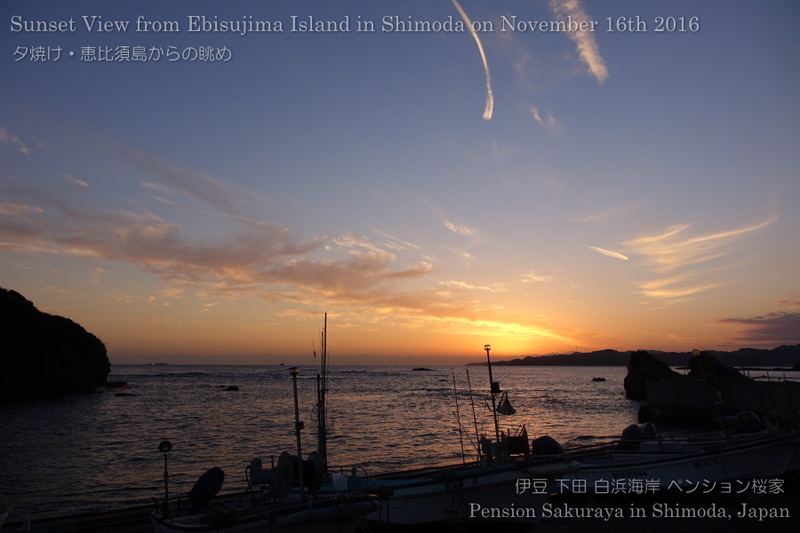 I took this picture at Shimoda harbor when I went to Shimoda city for shopping. 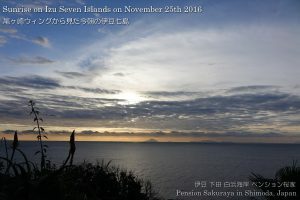 This entry was posted in nature, Sea on 2016年11月16日 by izusakuraya. 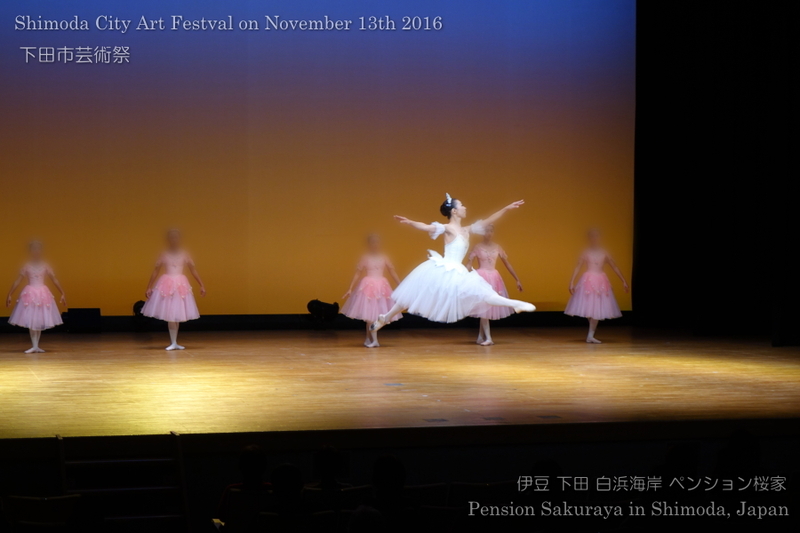 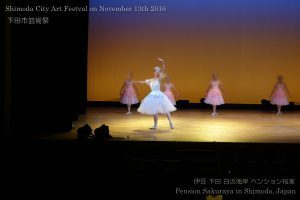 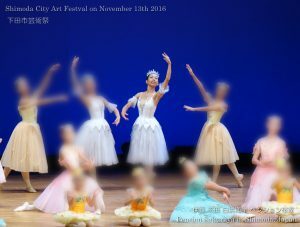 2016/11/14 My wife is classical ballet dancer! The Shimoda City Art Festival was held yesterday. 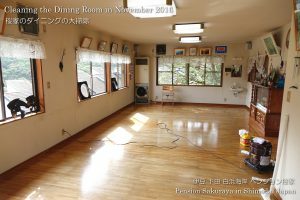 But, sorry, I don’t have any photos of our chorus group…. This entry was posted in Family on 2016年11月14日 by izusakuraya. 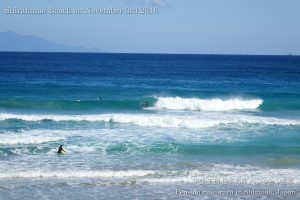 We still had a little north wind, but it was warmer than yesterday. 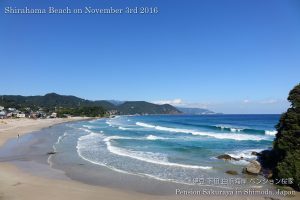 This entry was posted in beach on 2016年11月12日 by izusakuraya. 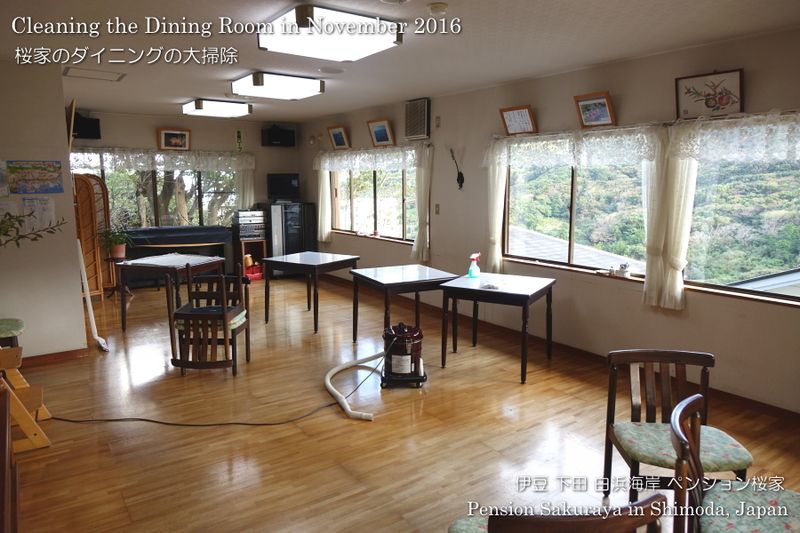 I finally finished cleaning the dining room of Pension Sakuraya. 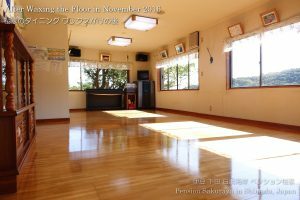 It took about 5 days to clean everything and every parts of this room but I’m very happy to see the floor which has a good shine. 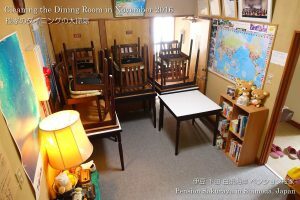 It is really hard to do it by only myself. 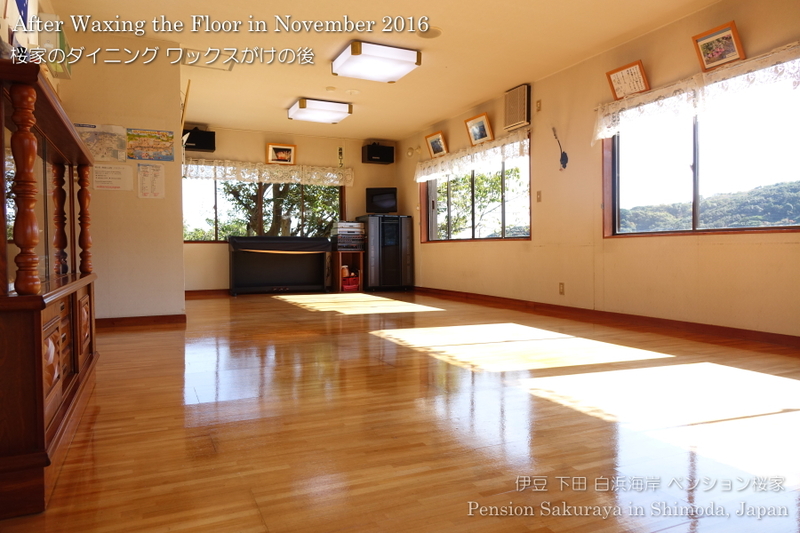 This entry was posted in Pension Sakuraya on 2016年11月9日 by izusakuraya. 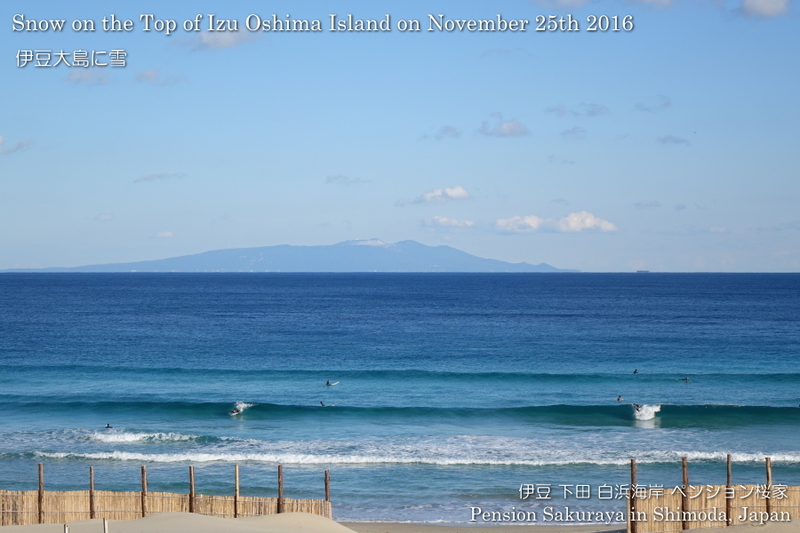 We had west wind today, but it was sunny and very warm again. 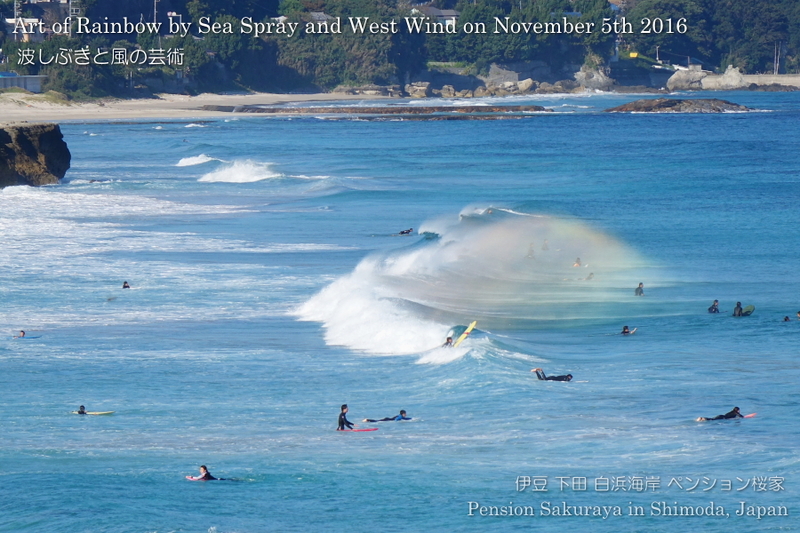 When we have west wind and waves this is the good condition to see the art of rainbow by sea spray. This entry was posted in beach, nature on 2016年11月5日 by izusakuraya. 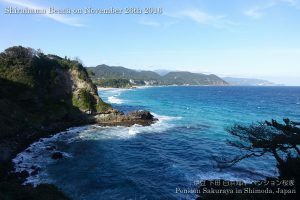 We had a little clouds around noon, but it was almost sunny and very warm again today. 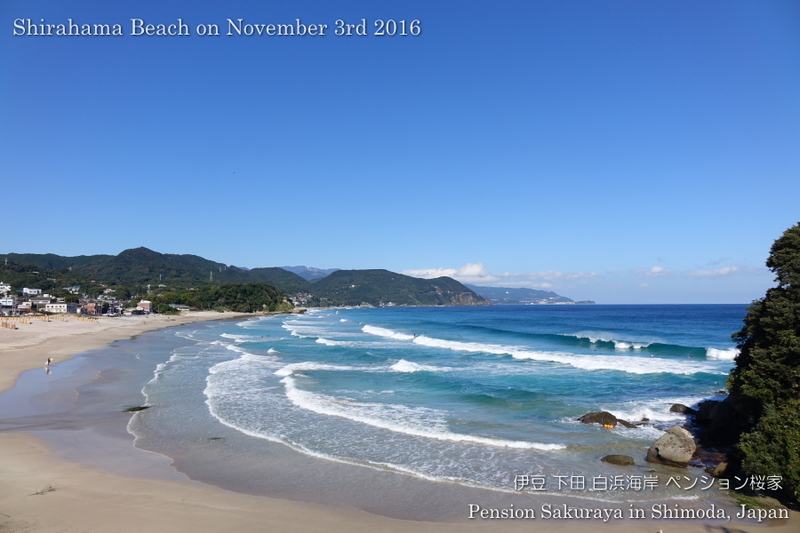 This entry was posted in beach on 2016年11月4日 by izusakuraya. 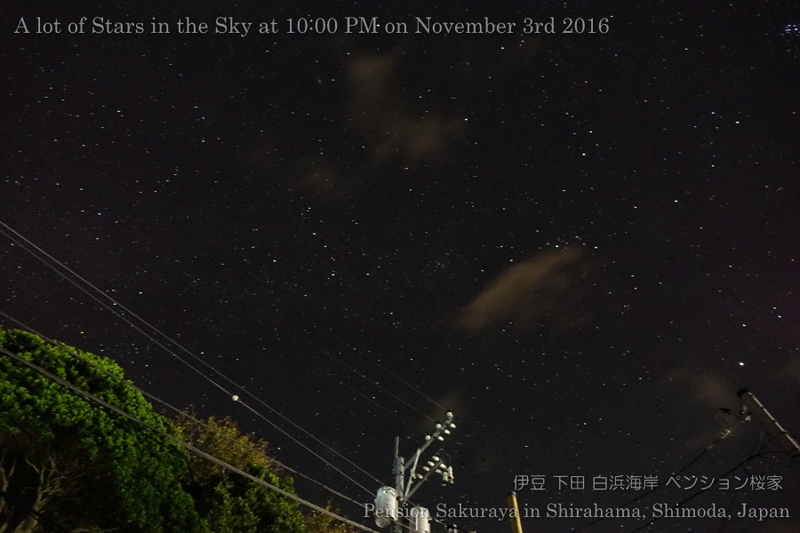 When I came back from Shimoda city this evening I found out the gorgeous starry heavens. So I took a lot of pictures on the terrace of Pension Sakuraya. 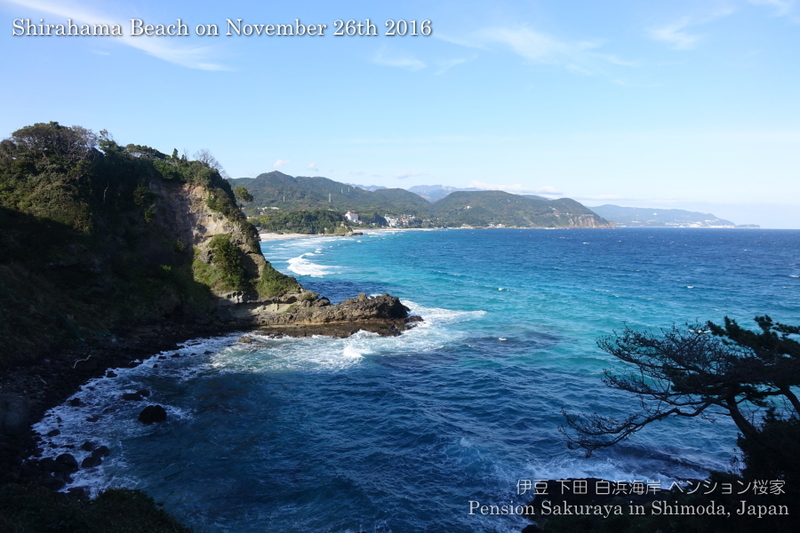 By the way we had west wind today, but it was sunny and very warm here in Shirahama. 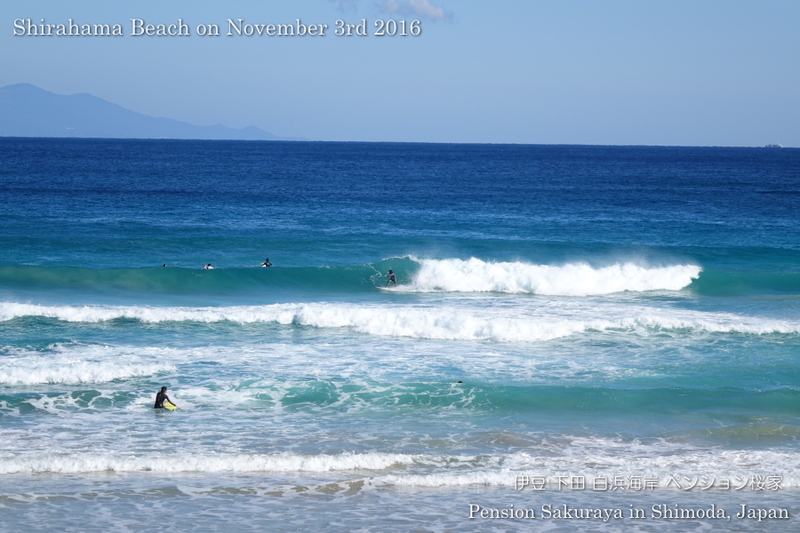 There were a lot of surfers because of the national holiday today. 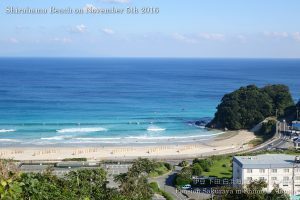 The water was very beautiful under the clear sky. 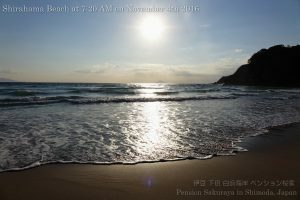 This entry was posted in beach, nature, Sea on 2016年11月3日 by izusakuraya.